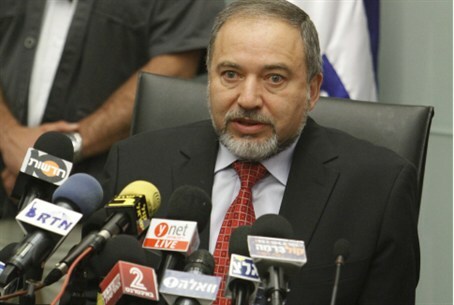 Israel is prepared to intervene militarily if Hizbullah gets a hold of Assad’s chemical weapons, Foreign Minister Lieberman warns. Israel is prepared to intervene militarily if Hizbullah gets a hold of Assad’s chemical weapons, Foreign Minister Avigdor Lieberman warned in Brussels on Tuesday. "In the moment we see that the Syrians transfer chemical and biological weapons to Hizbullah, this is a red line for us and from our point of view it‘s a clear ‘casus belli,’" Lieberman said, using the Latin expression justifying war. "We will act decisively and without hesitation or restraint," he added. "It will be a completely different ball game and we hope for the understanding of the international community." He added that Israel knows that the terrorist organization wants “to achieve [access to] chemical and biological weapons." Syria admitted on Tuesday that it has chemical weapons but said it would use them only if an outside force intervenes in the raging civil war that seems to have all but toppled the regime of Syrian President Bashar Assad. Opposition forces said Assad has moved chemical weapons to the northern border, despite official declarations that Syria would “never” use chemical weapons inside its own territory. Lieberman is attending the annual meeting of the EU-Israel Association Council. The European Union has refused his request to label Hizbullah as a terrorist group. The Foreign Minister is visiting 10 European capitals to try to convince them to label Hizbullah a terrorist group, but there is virtually no chance that the European Union will agree because such a decision requires unanimous agreement. The EU considers Hizbullah a political party, regardless of its military activities.